A call to action for all District 4 secondary school athletic trainers. 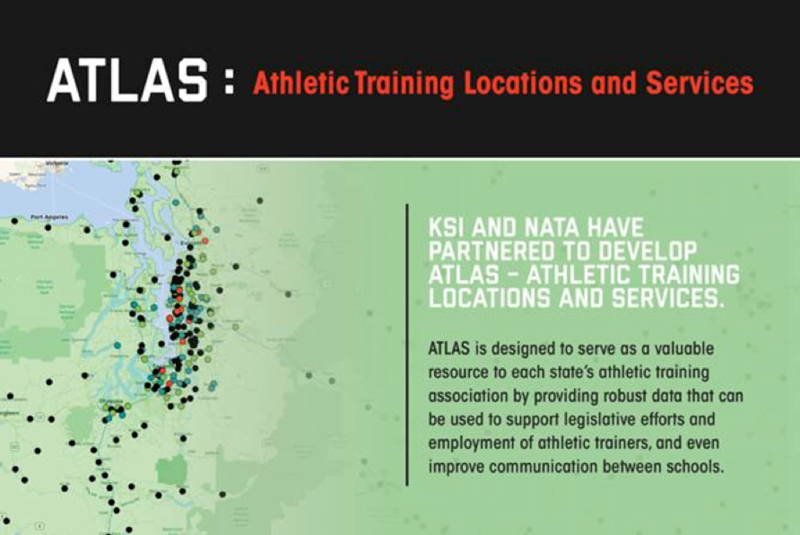 Regardless of your employment setting (Clinical/Hospital/School District) it is very important for our profession that each secondary school AT update your current setting with the NATA/KSI Atlas Project. 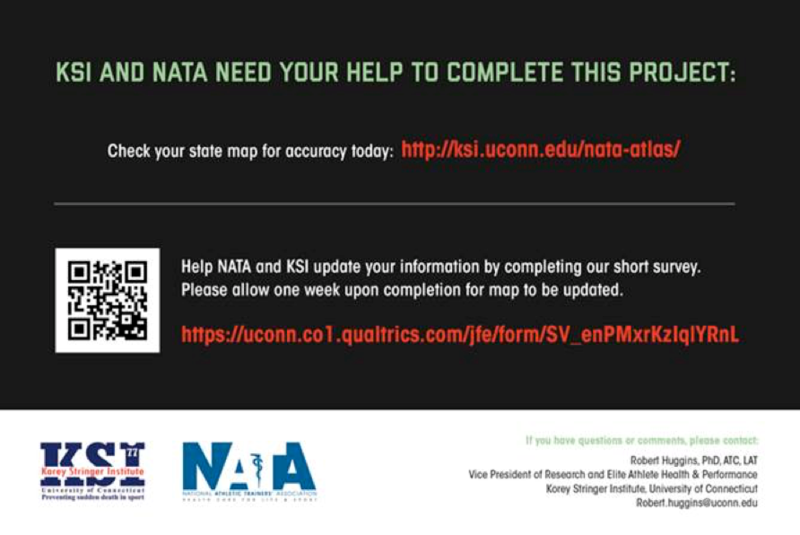 Please take a few minutes to go to the website http://ksi.uconn.edu/nata-atlas/ where you can find your state map and take the survey. It is important to take the survey and update your information. Even if you look up your school and it is highlighted “Green”, make sure your information is up to date by completing the survey annually. With several ATs changing positions/schools, schools adding positions, and new ATs in our district this is a great time to do your annual update. If you have questions or concerns. Please, feel free to contact myself or Dr. Robert Huggins with KSI. I have posted our contact information on this letter.